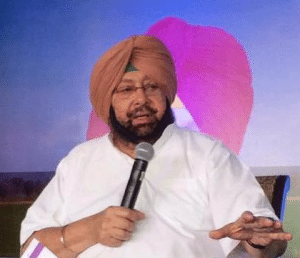 Chandigarh (PTI): Punjab Chief Minister Amarinder Singh has urged the Union government to take up with Canada the extradition of 10 Non-Resident Indians (NRIs), declared proclaimed offenders in drug-related cases in the state. In separate letters to India’s Home Minister Rajnath Singh and External Affairs Minister Sushma Swaraj, Singh said the extradition process in the cases had been pending for up to four years, scuttling the state government’s efforts to bring the accused to justice. The Congress government in Punjab has scaled up its efforts for their extradition from Canada, but the efforts have been obstructed as the cases remain pending at various levels, he said. According to an official spokesperson, the state government had decided to aggressively pursue the extradition of these suspects as their custodial interrogation was vital to establish the entire chain of the drug cartel in Punjab and to expose those allegedly patronising the trade. Listing out details of these cases, the Punjab chief minister said Sarabjit Singh Sandhar, alias Nik, a resident of village Balioun in Samrala, now living in Vancouver, had been declared a proclaimed offender on October 19, 2013. His extradition request had been sent to Canadian authorities and thereafter prepared afresh as per guidelines shared by them. The revised request was sent to the home ministry, which forwarded it to the external affairs ministry on July 20, 2017. The same is the status in another case, involving Ranjit Singh Aujla, a resident of village Muthada Kalan in Jalandhar district, in which the extradition request is pending since July 25, 2017. He was declared a proclaimed offender in August 2013. In the case of Nirankar Singh Dhillon of village Apra Mandi in Jalandhar, who was declared a proclaimed offender in October 2013, and is currently reported to be living in Lietkencher Circle, Brampton, Canada, the extradition request is pending since September 19, 2017, Singh said, citing police data. The extradition request for Gursewak Singh Dhillon, who was declared a proclaimed offender in April 2014, was sent to the external affairs ministry by the home ministry on July 20, 2017, but there has been no movement since then. Singh in his letter cited similar cases of Amarjit Singh Kooner, Lamer Singh Daleh, Pardeep Singh Dhaliwal, Amarinder Singh Chheena, Parminder Singh Deo and Ranjit Kaur Kahlon. VOICE adds: Those accused of various crimes in Punjab usually claim that they have been framed by a corrupt police force in India.